As a business owner or a manager of a worksite, you are responsible for the safety of valuable equipment and merchandise. You are also accountable for the protection of the people who do business on your property. These duties cannot be taken lightly, especially in our current climate of security threats and concerns. Unarmed guards are one of the most effective ways to protect what is most important to you. Off Duty Officers can provide you with trained, qualified and licensed unarmed security guards to give you the protection and confidence you need at your site. Many business owners believe that armed security guards are the only solution for the highest level of security. However, this is not always the case. There are many reasons why unarmed security personnel may be a better match for your needs. Off Duty Officers can help you determine the best security strategies for your unique situation and worksite so you can get the most effective solutions that fit your budget. Unarmed guards work with your current security structures such as alarm and monitoring systems to provide the necessary active response that you need in the event of an emergency or security breach. Our unarmed guards are off-duty and retired law enforcement and military personnel who have the skills, training and dispositions to handle a wide variety of security risks. Are you unsure if armed or unarmed security guards are right for your business? We know that deciding on a security service is a big decision. It’s also a big part of your budget, so making the right decision is critical. The security specialists at Off Duty Officers can help you determine if armed or unarmed security guards are the right choice for you. Does your site contain large amounts of valuable items such as cash, equipment, jewelry or prescription medications? Is your site in a location that experiences high rates of violent crime? Does your site maintain top-secret or highly-sensitive intellectual property? If you responded no to the questions above, your business should consider the use of unarmed security guards. Unarmed security guards offer many businesses an effective, practical and budget-conscious alternative to armed guards. Unarmed guards act as your first line of defense against angry customers, criminals or unwanted trespassers. The presence of unarmed guards is often all it takes to deter thieves and vandals from attempting to destroy your property or cause a scene. If an incident does occur, unarmed security personnel are the first to act, using their superior training to respond to emergencies, fires or active security threats and assist as needed. Even though they do not carry weapons, unarmed guards have distinctive training that allows them to swiftly resolve conflicts using a variety of tactics. 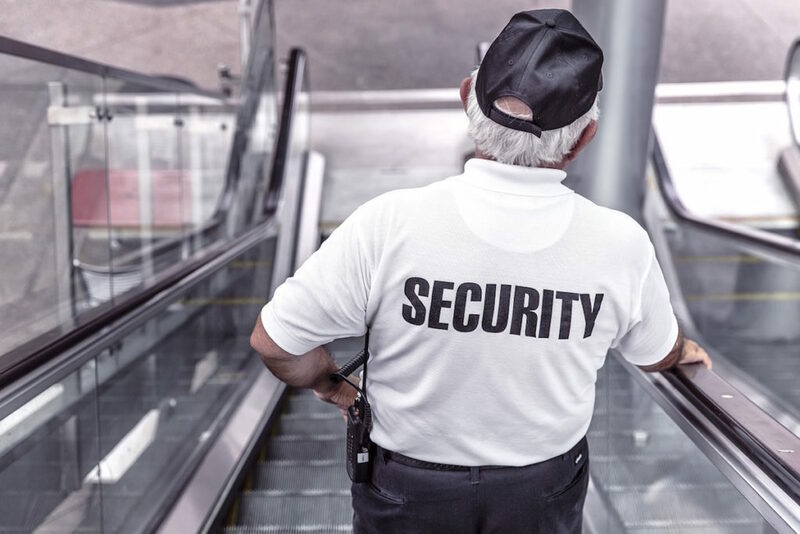 The sight of an unarmed security guard on your premises shows your employees, guests, vendors and other visitors that someone is there protecting them from harm. It also shows that you care about the people in your charge. Unarmed security guards contribute to an overall sense of calm and safety. And when they feel safe, your employees are more effective and your customers stay longer on your premises. At Off Duty Officers, we understand that as business owners you are concerned about costs. Security is vital; however, armed security personnel can be hard on your bottom line. For many small businesses or those who do not operate in high-risk environments, unarmed security guards can be a more affordable solution. The unarmed guards that Off Duty Officers works with are just as highly-skilled and professional as their armed counterparts. Off Duty Officers leads the nation in private security services. Our team of security professionals is made up of highly trained off-duty and retired police officers and military personnel. Their experience is unmatched across all industries. Our unarmed guards can provide your business with the best protection available. Whether you own a small business, oversee a construction site or manage a residential community, unarmed guards from Off Duty Officers can help you meet your security goals. If you are ready to protect your business with the best unarmed guards in the business, contact Off Duty Officers today. Our security specialists will help you determine the best, most affordable security solutions for your needs.